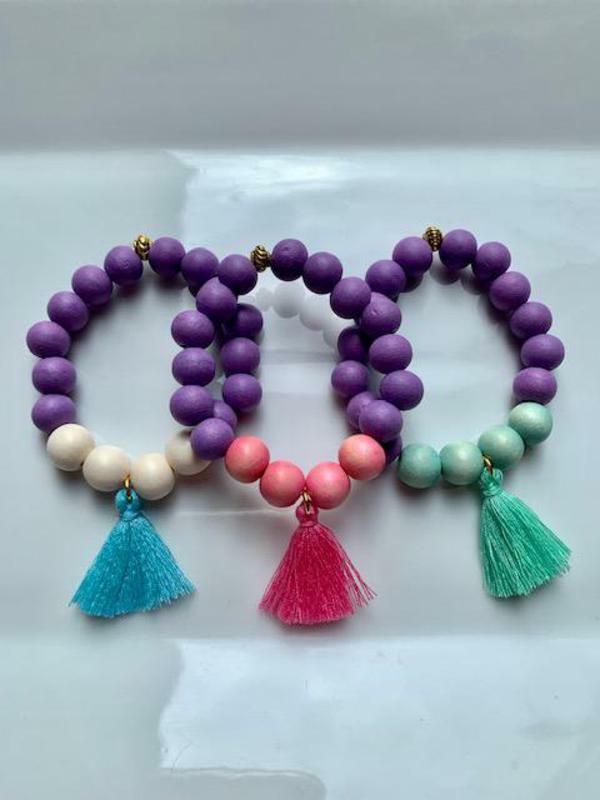 Little Southern Strung tassel stacks are 6 inches in length. Bracelets are $6 each. Cute and colorful!